Pontificate: Media, stop with the hype! These Lineamenta, drawn up with the assistance of the Ordinary Council of the General Secretariat of the Synod of Bishops, are an important stage in preparation for this synod assembly. At the end of each chapter some questions appear which are aimed at generating discussion at every level of the Church. With this in mind, these Lineamenta are being sent to the synods of bishops of the Eastern Catholic Churches sui iuris, the episcopal conferences, the dicasteries of the Roman Curia and the Union of Superiors General, with whom the General Secretariat of the Synod of Bishops maintains official contacts. These bodies are to encourage discussion on this document in their respective areas of competence: dioceses, pastoral areas of jurisdiction, parishes, congregations, associations, movements, etc. The episcopal conferences, synods of bishops and the previously mentioned bodies will then summarize the observations and submit a report to the General Secretariat no later than 1 November 2011, the Solemnity of All Saints. The lineamenta then included a long series of questions for these local discussions. Now, the exact same thing is being asked for the Extraordinary Synod convoked by Pope Francis for 2014 on the Family. Since it is a shorter process, the procedure has been summarized, but the intent is the same: to present questions prepared by the Synod Secretariat to the Conferences of Bishops for local discussion. The questions were posted here by NCR, delivered to them by one of their USCCB contacts. In the procedure used for this Extraordinary Synod, the answers will then provide a basis for the lineamenta, but it makes no difference - in the 2012 regular synod, the order was the same: questions formatted by the Synod Secretariat, to be discussed on a local level, and presented as input to the Synod. The only difference now is that the lineamenta will be presented much closer to the Synod's date, which is to be expected considering the 2014 Synod's Extraordinary and rushed nature. The very complex and verbose nature of the current questions make it clear that they are not meant for individual debate by Catholics, but presented for input by local-level bureaucratic structures. That was not enough to prevent the current set of questions from already being portrayed by religion reporters on Twitter - led astray by the usual liberal Catholic sycophants - as an "unprecedented" "poll" on "controversial questions". We are not a democracy yet, but this "level of discussion" is "incredible". The media, especially in the Anglosphere, must become more discerning when reporting on this pontificate. There is no need for the malicious anti-Catholic stridency of the Ratzinger years, but the current level of naïveté is ridiculous, and a disservice to readers, Catholic or non-Catholic. Time to find a middle ground anchored in truth. In a Paul VI mass celebrated on the tomb of John Paul II this Thursday, the Pope celebrated versus Deum, apparently for the first time in this pontificate. 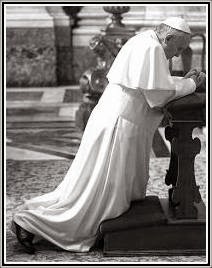 (Tip: Fratres in unum; Source: Radio Vaticana) Fratres in unum (in Portuguese) adds that he did so because he had no other choice, but we tend to disagree: a makeshift versus populum table could have been easily arranged if the Pope had asked for one. Obviously, we do not believe that it is a sign of anything greater, though, but a mere curiosity. November, the month especially dedicated to the Poor Souls, begins tomorrow, with the most richly indulgenced week of the year - we could call it Indulgence Week, for the great generosity with which the spiritual wealth of indulgences is made available by the Church. Fr. Domenico Zipoli, S.I. (1688-1726), a Tuscan, was active in the Jesuit missions of Paraguay (now in Paraguay, Northeast Argentina and Southern Brazil). This video was put together by the Latin Mass Society about the recent Pilgrimage to Walsingham in England, this involved walking the 55 miles from Ely, the traditional pilgrims' route. It seems like a good advertisement for the Traditional movement. Nice work by Catholic News Service showing the absurdity of the historical rewriting of the life of St. Francis. There's been a lot of talk lately about proselytizing, the "new evangelization," etc. 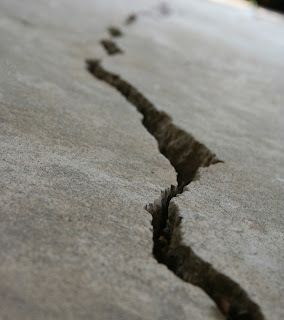 Many of these same people who think the Church has it all right now say that the Church was broken pre-Vatican II. That no one understood the Latin Mass and it had to go. That the rigid Church turned off non-Catholics and that the firm stand against false ecumenism was a barrier to great conversions of non-Catholics. A priest reader of Rorate recently saw a 1959 version of the Kenedy Directory (now The Official Catholic Directory) for sale and purchased it. As the priest tells us: "Much to my joyful surprise, there was a beautiful tribute page to Pope Pius XII, this being the first Directory published after his death." While we would never criticize the canonization of a saint, we can say, looking at these numbers, that there may be one venerable former pontiff who is conspicuously missing from the lineup on April 27. Yesterday, the SSPX American District announced that their website has been hacked, shutting it down since Sunday. The silver lining, they said, is "the fact that SSPX.ORG has 'merited' such singular attention is encouraging -- as it shows that someone out in the Internet world takes exception to effectiveness of our apostolic mission for Catholic Tradition." We have indeed seen other numbers that show similar rankings among traditional Catholic sites, but not exactly where we stand among ALL websites around the world, regardless of their focus. It's also interesting to see what sites aren't listed, though this is of course their own estimation, not ours. 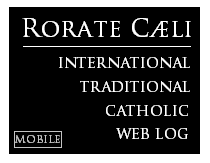 Remember: this is a ranking of traditional Catholic sites. We cannot vouch for the exact number or position either, since, as is well known, the way to measure such data can be inaccurate. We bring you this notice not to brag, but to say thank you, to all of you. You, your readership and your prayers, are what has taken our little blog to the most-read traditional website in the world. And we are truly grateful. 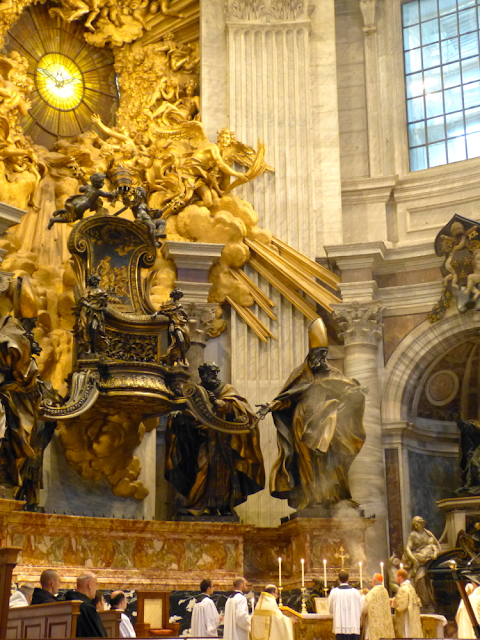 The current stand-alone structure is the second one since the Council, installed under Benedict XVI, a considerable improvement on the anvil-like monstrosity installed by Cardinal Noè when the original altar was annihilated (cf. our 2006 post on this). 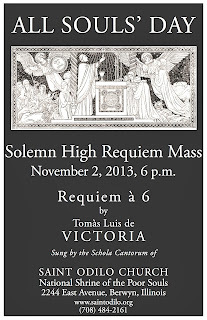 On Saturday, November 2, there will be a Solemn High Requiem Mass (Extraordinary Form) at St. Odilo, National Shrine for the Poor Souls, in Berwyn, Illinois. 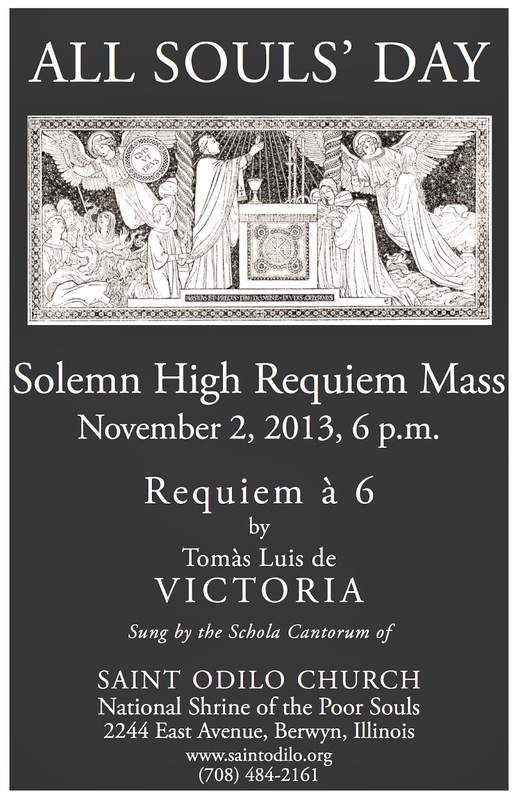 The music includes the Requiem for Six Voices by Tomás Luis de Victoria and Gregorian Chant, sung by the Schola Cantorum of St. Odilo. This is the only parish in the United States dedicated to the Holy Souls in Purgatory. Cardinal Mundelein granted special privileges to St. Odilo parish, giving a 200 day indulgence applicable to the souls in purgatory for each visit to this national shrine. In addition to this special Mass, there is a Mass offered each Sunday at 9:30 a.m. in the Extraordinary form and on all Holy Days of Obligation. For more information, go to www.saintodilo.org. In addition, the Church of St. Agnes will offer a Missa Pro Defunctis at 10a.m. on November 2. For the record - Pell on Fellay's criticism: "Absolute rubbish!" A. To put it politely, I think that’s absolute rubbish! Francis said he’s a loyal son of the Church, and his record shows that. He’s very, very concerned for the day-to-day life of the people, and for those who are suffering, those not well off and those in difficult situations. He’s a completely faithful exponent of Christ’s teaching and the Church’s tradition. A. Yes, it is a gigantic misreading! In actual fact, the Lefebvrists – many of them - have misread the situation for decades. It was to Benedict’s great credit that he tried to reconcile with them, but they didn’t respond. Now the Church today accepts the Second Vatican Council. You don’t have to accept every jot and tittle of it, but it is part of Church’s life now, there’s no way around that. The photo above was taken during the TLM at the church of Sainte Claire located in the Acacias neighborhood of Geneva, Switzerland. 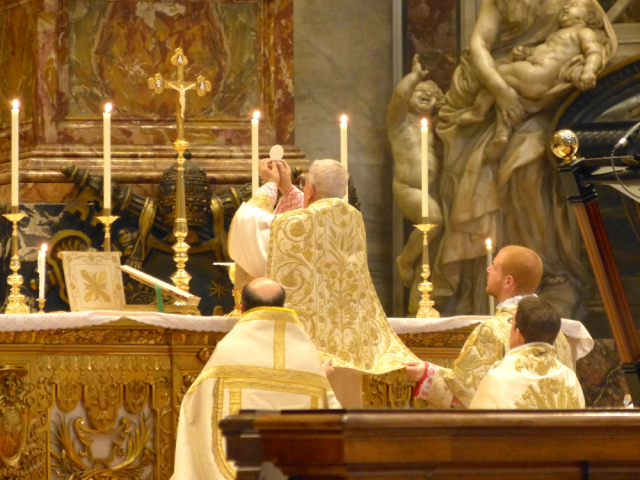 The Priestly Fraternity of Saint Peter (FSSP) provide the dedicated curates for the Tridentine Mass. The traditional community has held Masses at Sainte Claire since 2009. Many young families attend the Mass and a good number drive in from neighboring France. Processions are common and after today’s Mass the priest led prayers to the Blessed Mother in honor of the last apparition at Fatima on October 13, 1917. There is a large poster outside of church and it promotes the TLM which is held every Sunday at 11 AM. Sainte Claire is easily accessible via public transit. One can take the #15 tram to the Acacias stop and the church is a short walk from there. Additionally, there are Tridentine Masses held daily in both Lausanne and Fribourg. 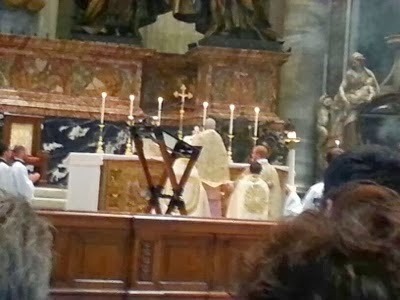 Rorate had previously carried a story on a TLM confirmation mass (at the Basilica of Notre Dame in Fribourg) at which Bishop Morerod of Lausanne was present. Additionally, there are other Sunday TLM locations held throughout the French-speaking and German-speaking cantons, including an SSPX daily Mass and their three Sunday Masses. Event: TLM following March for Life 2014 in D.C. The Second Annual Nellie Gray Mass will be held at Old St. Mary's in Washington, D.C., following the 2014 March for Life at 6p.m. on Wednesday, January 22. The celebrant will be Dom Philip Anderson, O.S.B., Abbot of Our Lady of Clear Creek Abbey. After the Mass, there will be a Juventutem social at a new location, nearby. You can find more information here. Rorate covered Nellie Gray's requiem two years ago. "Dear museum visitors, this is item 461-B, 'Dagens Cross', circa 1970." 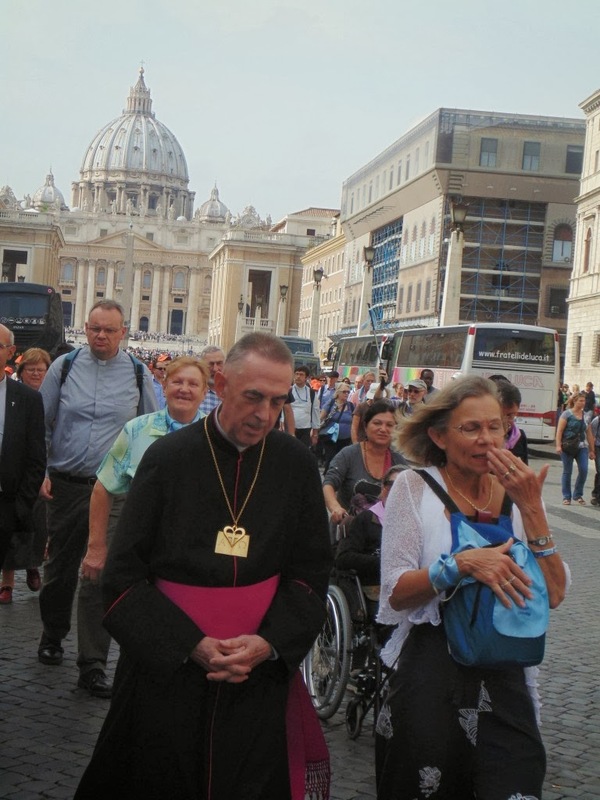 Monseigneur Claude Dagens, Bishop of Angoulême (Charente, France), is no ordinary Ordinary. As we said in September, when we reported his open stance against the Eastern Catholic bishops in the Middle East, he is currently "the sole Catholic cleric who is an immortel of the Académie française" -- whose earlier membership abounded in clerics -- "occupying Seat No. 1. It will be of interest to our readers (though not a complete surprise) that he happens to be one of the few French bishops who have completely blocked the application of Summorum Pontificum in his diocese, with the result that the sole Traditional Latin Mass in his diocese is served by the Fraternity of the Transfiguration, which is affiliated with the SSPX." "For the challenge now is to give America a new birth of freedom ... . This challenge will not be met by Catholic Lite. ... The challenge also won’t be met by Catholic traditionalists retreating into auto-constructed catacombs." Now, it is almost "adorable" to watch men like Weigel seeing their life's work of a "new" kind of "Catholicism" (let us call it pseudo-Wojtylianism) dead and buried -- and so trying to ingratiate themselves with the new Roman order. In the new order of things, like roaches hit by insecticide, they do not know what to do, or where to go, or whom to ask for help. The easiest way out for them, of course, is to attack "Catholic traditionalists". Weigel usually attacks us for our "Constantinian", "Triumphalist", heritage. Now, he also attacks us for "retreating into auto-constructed catacombs" -- catacombs being the epitome of the pre-Constantinian Church. For Weigel, cursed if you do, cursed if you don't, as long as you are a Traditionalist. What Weigel sees as insults, though, we consider integral parts of our heritage. The image of "auto-constructed" as applied to a catacomb certainly sounded better and clearer in Weigel's mind than when printed out, as so much of what appears under his prolific but careless authorship. 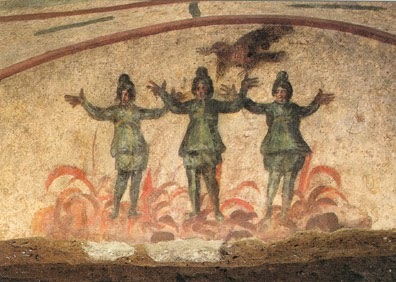 Yet we are joyful of being Catacombs and Constantinian, Medieval and Renaissance, Tridentine and Ultramontane: throw them at us, and we will accept them, because this is what being a Traditional Catholic means, that is, to love and to live the fruitful organic growth of our Catholic patrimony. All parts of our Traditional heritage are precious to us, we do not disregard them because we cannot do so, bathed as they are in the apostolic rivers flowing directly from the Living Heart of the Lord. 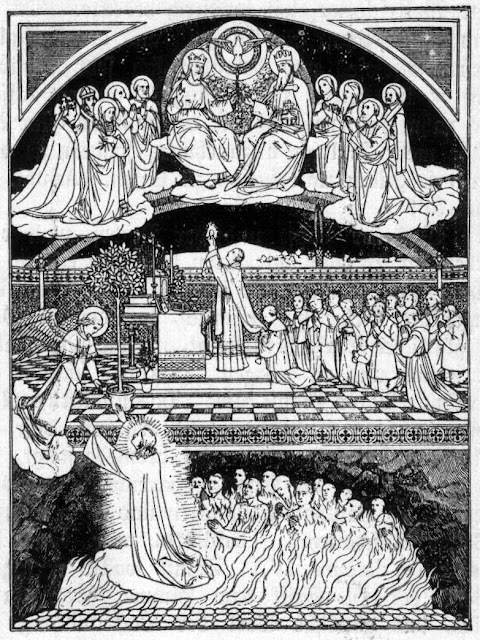 In the catacombs, our Dead who bequeathed us the treasures of Tradition await the resurrection, and so shall we, when all fads and politicking of the present time will give way to the Everlasting Jerusalem, under the sempiternal Kingship of Our Lord Jesus Christ. Happy Sunday of Christ the King! 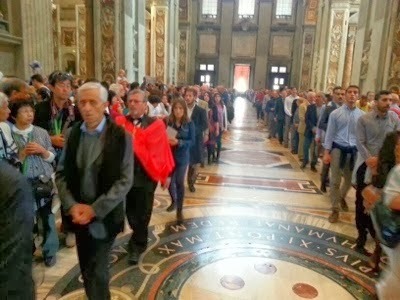 The Remnant has put up the following video of the procession from Santa Maria in Vallicela to Saint Peter's Basilica, and of the Solemn Pontifical Mass that took place there. First images of the Vatican Basilica and adjacent areas on Saturday morning as the faithful gather for the Pontifical Mass to be celebrated by Cardinal Castrillon Hoyos. 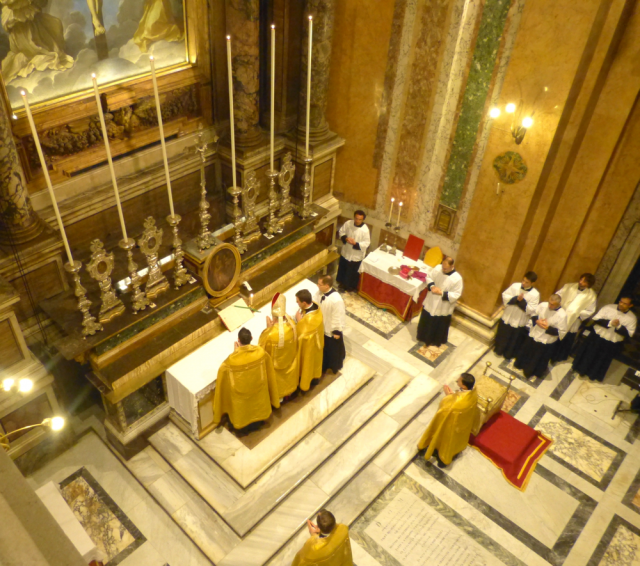 The 2013 Summorum Pontificum Pilgrimage began this Thursday evening in Rome, with Pontifical Vespers at Trinità dei Pellegrini, the Personal Parish staffed by the Priestly Fraternity of St. Peter (FSSP), with the pontifical presence of Abp. Pozzo, Secretary of the Pontifical Commission Ecclesia Dei. Sunday, September 29, the Dedication of St. Michael the Archangel, was a very special day for St. Gregory's Traditional Latin Mass Community in Brisbane, Queensland, Australia. On that day, sixteen young members of the Community received the Sacrament of Confirmation from the local ordinary, Archbishop Mark Coleridge. The venue was St. Joseph's church in Kangaroo Point, where Community Masses are celebrated on Sundays, Saturdays and Feast Days. On this historic occasion the Sacrament of Confirmation according to the traditional Latin rite was conferred by the Archbishop of Brisbane for the first time since Vatican II. 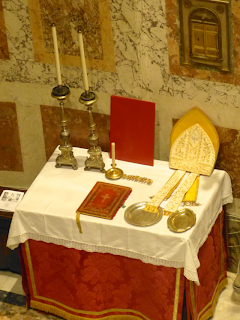 The Confirmation was followed by a Pontifical Low Mass, also a first since Vatican II. Archbishop Coleridge is relatively new to Brisbane, having been installed in May, 2012. The Archbishop was expertly assisted in his liturgical duties by the Master of Ceremonies, Fr. Damonn Sypher, FSSP, who is originally from Queensland. Mr. Shane Coles, who for many years has trained an ever-increasing team of altar servers, also played an important role. Thanks go to Mr. Stephen Hodal for his dedicated work in preparing the sixteen confirmandi for the Sacrament. Last but not least, mention must be made of the Community choir, who, under the baton of Dr. Fiona Walsh, the long-serving Choir Director, contributed beautifully sung polyphony suitable for the occasion. 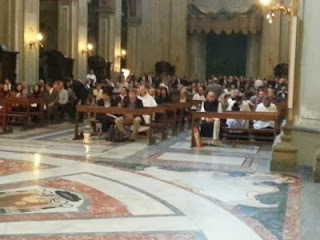 The congregation joined in with the choir in singing Veni Creator Spiritus and Salve Regina. The proceedings finished with a most stirring rendition of the Recessional, Holy Michael, Great Archangel. The Archbishop joined everybody in the celebrations that followed and stayed for a considerable time. He seemed to be enjoying himself as much as the Community members. A most uplifting and joyous occasion! Deo gratias! 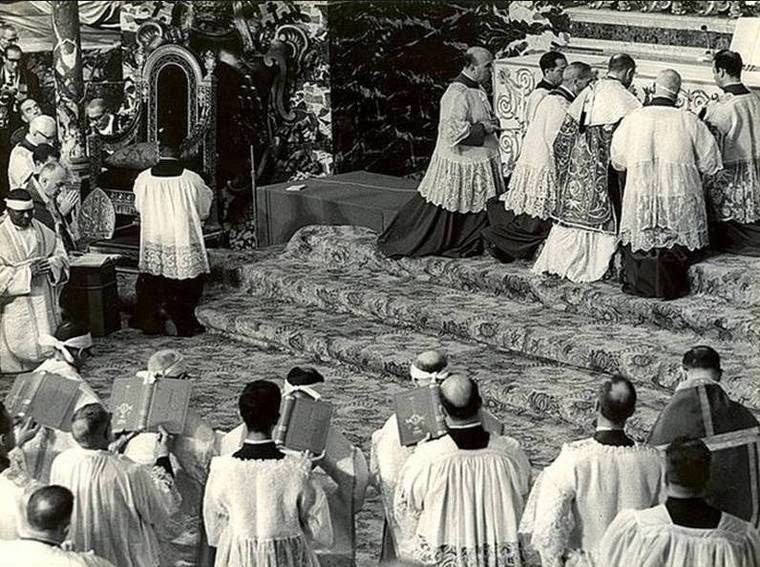 Over fifty years ago, October 11, 1962, the Second Vatican Council began. It lasted about three years, a little longer than the previous one, the Vatican Council of 1869-1870, which had been interrupted by political events. Nevertheless, it was briefer than the Council of Trent preceding it (1545-1563). Though convened by Pope John XXIII, it was essentially carried out by his successor Pope Paul VI. 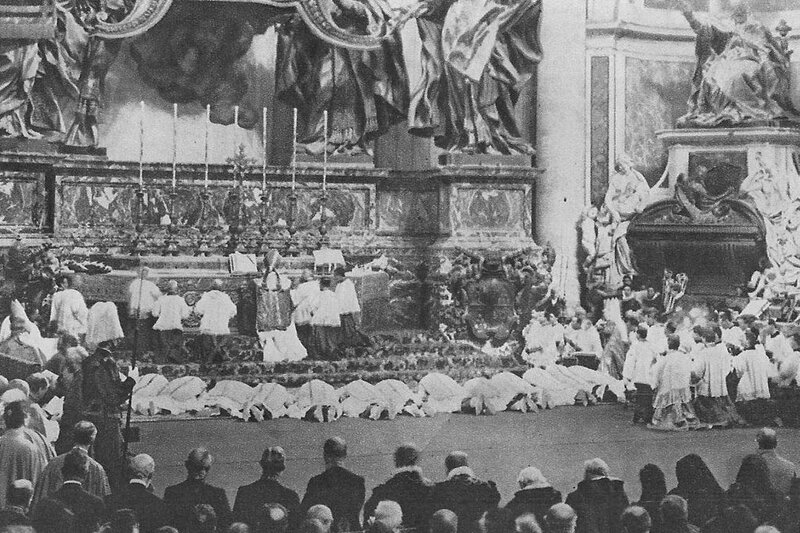 And yes, in the debate on the form of the liturgy, the Council Fathers had enthusiastically embraced the plan to complete the reforms that had been initiated earlier in the twentieth century by Pius X and Pius XII. Since these revisions of the traditional rite in general had been very cautious, it was thought that the most significant change would only be a little wider use of the vernacular in the Mass (already employed in other sacraments). It was hoped that this would prompt those who had left off attending church to go again. The following is a very timely sermon by a traditional mission priest on a confusing recent message on atheism. You may listen to this sermon in its entirety here (text via Rorate, audio via our partnership with AudioSancto). Man is made by God. We came from God and we will return to God, at least to be judged. Listen to St. Paul: “For none of us liveth to himself; and no man dieth to himself. For whether we live, we live unto the Lord; or whether we die, we die unto the Lord. Therefore, whether we live, or whether we die, we are the Lord's. For to this end Christ died and rose again; that he might be Lord both of the dead and of the living” (Rom 14:7-9). We belong to God, and we must render to Him His due! We begin to render unto God what is God’s by first admitting He is our Creator… that He made us out of nothing! We continue to render unto Him what His due by following His commandments and that means we enter His Church to worship Him, adore Him, serve Him according to how He has shown us. That is precisely why we are here today at this Ancient Latin Mass (which has been proven to go back to St. Peter himself). The Church teaches ALL men can know with certainty by the light of natural reason alone… that God exists and that He is our Creator. All men must start here to render unto God what is God’s. Faith is not required for this first step. It comes with being a creature in the Cosmos made by God. Listen to this infallible statement of the First Vatican Council: “If anybody says that the one true God, Our Creator and Lord, cannot be known with certainty in the light of human reason by those things which have been made, anathema sit” (Dz 1806). If there is order, there must be an Orderer. If intelligence, must be One Who is Intelligence. If love, must be One Who is Love Itself. In the book of Wisdom we read: “For by the greatness of the beauty, and of the creature, the Creator of them may be seen” (13:5). St. Paul says to Romans: “the invisible things of God, from the creation of the world, are clearly seen, being understood by the things that are made; His eternal power also, and divinity: so that they [i.e., the ungodly] are inexcusable. Because that, when they knew God, they have not glorified Him as God, or given thanks; but became vain in their thoughts, and their foolish heart was darkened. For professing themselves to be wise, they became fools” (1:20-22). King David says, “The fool hath said in his heart: There is no God. They are corrupt, and are become abominable in their ways…” (Ps. 13:1). St. John Damascene says: “The knowledge of the existence of God is implanted (by Him) in all in their nature” (De fide orth, I, 1). 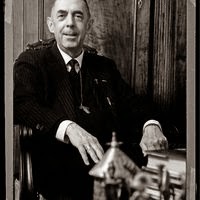 It is held by eminent theologians like Ludwig Ott that “Inculpable and invincible ignorance regarding the existence of God is not possible for a long time in a normal, grown-up person…” (cf. Fundamentals of Catholic Dogma, p. 16). Such people choose to ignore their very nature. As, St. Paul says this is “inexcusable.” They are fools and foolish. They are basically saying, “We have no king but Caesar” and they render unto men what should be given to God. Such ones are called atheists. Atheists are by definition people who say with some conviction that there is no God, at least no Personal God to Whom men are responsible for their actions… to Whom we owe reverence, obedience and due worship. Since it is built into man’s very nature to know there is a Personal God… that He does exist… such atheistic men cannot escape falling into the worst of sins by taking this position… “they are corrupt … and abominable in their ways.” St. Paul makes it abundantly clear where such thinking leads: “Wherefore God gave them up to the desires of their heart, unto uncleanness, to dishonour their own bodies among themselves. Who changed the truth of God into a lie; and worshipped and served the creature rather than the Creator, who is blessed for ever. Amen. For this cause God delivered them up to shameful affections. For their women have changed the natural use into that use which is against nature. And, in like manner, the men also, leaving the natural use of the women, have burned in their lusts one towards another, men with men working that which is filthy, and receiving in themselves the recompense which was due to their error” (1:24-27). The spread of atheism leads inevitably to Sodom and Gomorrah. (Note, by the way, how St. Paul had no problem judging the grave evil of these sins … calling them unnatural, filthy, shameful, lustful… causing disease and evils to be visited upon those who embraced them.) Atheism opens the door to this evil. Obviously, atheism in any form whatsoever should be discouraged... it is not reasonable! It is not rational! It is foolish! It is corrupt! It is blind…and leads to more blindness. We wonder if Amtrak knows the four women religious in its new advertisement -- Sister Mary Xavier Selway, Sister Mary Raphael, Sister Mary Jognes and Sister Antoinette Marie -- are members of The Daughters of Mary Mother of Our Savior. The Daughters of Mary are the women religious of a sedevacantist society. The ad is currently published in major newspapers, such as page A7 of today's Washington Post. We're not sedevacantists (as it is an untenable position), but we can't blame Amtrak for recognizing long habits, full veils and -- yes -- wimples are identified with a Roman Catholic sister, not a 70-year-old lady wearing a lapel pin on the sportsjacket of a pants suit. Correcting wild expectations for the 2014 Synod? L'Osservatore Romano has just simultaneously published in various languages (including English) a long article by Archbishop Gerhard Ludwig Müller, Prefect of the Congregation for the Doctrine of the Faith on the topic of divorced and remarried members of the faithful and their relationship to the sacraments. The article largely reiterates the standing documents of the more recent Magisterium on the question of communion for divorced and 'remarried' Catholics, and refutes some existing arguments given in favor of lifting or softening the existing ban. At the same time it reminds readers that already during the reign of Benedict XVI, the point had been made that "marriages nowadays are probably invalid more often than they were previously". Notable as well is Archbishop Müller's frank criticism of the practice of the Orthodox Churches on this matter, given the Pope's comments, widely construed as positive, on the same subject during his press conference on the flight back from Rio. As part of his argument, Müller appeals to the historical example that groups of Eastern Orthodox on becoming Catholic "had to subscribe to an express acknowledgment of the impossibility of second or third marriages", indicating that Rome still does not see this difference as a marginal issue or as pertaining to "legitimate diversity" between Orthodoxy and Catholicism. 2. Finkielkraut: "Francis: Love without Love's Wisdom"
1. In their most recent video, the Remnant team of commentators say "Rorate Caeli stands vindicated". Young people can also reflect. It isn't stupid to reflect! Politics, morals. Morals are more than just the heart! Morals are also intelligence. Love without love's wisdom: that is pope Francis. And well, it's very nice, pope Francis, but we can require, even of young people, love and love's wisdom. The original video in French is available here. While not film critics, we will say this: regardless of where you stand on the current situation of the Society of St. Pius X (SSPX), this film will at bare minimum be entertaining, and a solid look at history -- but not in the way you may think. The first half of the film really has little to do directly with the current crisis. It's more of a history of how the Church, led by Father, Bishop and Archbishop Lefebvre, made Christianity -- and society -- flourish in French West Africa. The interviews with priests, nuns and the laity whom were around during his time are both compelling, and historically important. At one hour and 43 minutes, the film leaves you wanting for more. For those of you that didn't live through the troubling days of 1988, with its decisive and enduring consequences, or were too young to notice, you especially should consider watching. That goes for those who are pro, anti, and just not sure what to make of the current situation. To find a screening at a theater or to organizing a screening, click here. The documentary can be pre-ordered here. On October 19 in the Basilica of the Assumption of Mary, in Lindau, Bavaria, His Grace Wolfgang Haas, Archbishop of Vaduz will confer First Tonsure to FSSP seminarians Samuel, Janosch, Remi, Julius, Helge, Hubert, Arthur, Stefan, Peter, Thomas and Michael. The same day at Our Lady of Guadalupe International Seminary in Denton, USA, His Exc. 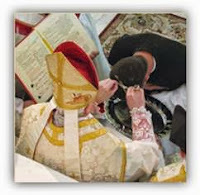 Fabian Bruskewitz, Bishop Emeritus of Lincoln will confer First Tonsure to FSSP seminarians Daniel, Michael, Andrew, John, Christopher, Michael, John, Ralph, Matthew, Luc, Daniel and John. In the same ceremony, Bishop Bruskewitz will also confer the major order of subdiaconate to Zachary, Joshua and Daniel. In the English-speaking media, there is an almost unanimity around the events of the current pontificate. As French blog Riposte Catholique reports, this attitude is certainly not the case in the media in other languages, mainly in the nation of the papacy itself - a sign that English-speaking religious correspondents are not doing their job properly. And the words of the main correspondent of French liberal religious magazine La Vie are almost terrifying in what they imply. An emerging portion of the Ratzingerian iceberg, Sandro Magister, a journalist at L'Espresso, a star among Vaticanists, releases in his blog chiesa every week, and at times every day, severe criticisms of Pope Francis: "Martini Pope. The Dream Come True," on October 15; "Encyclicals have a new format: the interview," on October 7; "Ricca and Chaouqui, two enemies in the house," on August 26; "The Francis transformation", on October 3; among not few others. But he is not alone: "Francis is in the process of founding a new religion opposed to Catholic magisterium" (Mattia Rossi, Il Foglio, October 11); "We do not like this pope" (Alessandro Gnocchi and Maria Palmaro, in Il Foglio on October 9 - they were removed from the staff of Radio maria [because of this article]); "Flock before doctrine? We risk losing both" (Rino Cammilleri, Il Giornale, October 10). The coalition of media praise surrounding Pope Francis is as of now far from being unanimous in Italy. Not only in the media. It is necessary to understand that Italian journalists often "act" for the Curial prelates, some of whom in very high positions, who give them very reliable pieces of information and ask them in return to pass on this or that message. The Church authorities are themselves very mindful of the opinion expressed by these journalists and, on their side, pass on messages within the world of the dicasteries. In fact, one may even speak, especially on the level of the great ones, such as Sandro Magister, of informal groups in which churchmen and media men analyse [matters] at the same level. Is Francis attentive to this phenomenon that has taken a relevance that goes beyond the small classic revolts? This is not clear. A pope coming from the peripheries, he "works", brightly anyway, with governing and communication methods that he tried in Argentina. Differently from his predecessor, who lived cloistered, he meets each day, in multiple formal audiences, and in a multitude of different contacts at Santa Marta, [and] over the phone, a number of different interlocutors. But is he better informed because of this? It is not clear that he has a great capacity to listen and view beyond certain patterns. One could not, anyway, require of a 76-year-old man, despite a breathtaking energy, to reorganize all the categories of analysis and reading schemes that he forged and used all through his existence. Jean Mercier, [correspondent] of La Vie [the main liberal religious periodical in France], is also somewhat troubled. In an article published on September 18 in his blog, "Is the Pope a demagogue? ", he said: "Charismatic and popular, Francis does not hesitate to make gestures that hit their targets and to release statements that create a buzz. Isn't he overdoing it?" On October 4 ("Malaise in communication"), [Mercier] came back to the subject: "Francis multiplies the shock interviews, raising perplexity regarding his communication strategy. The problem of the different levels of his words is raised, and noticeably when the intimate words are taken as elevated to official words." And based on what he hears in the Eternal City, he sounds the alarm: the new order is even more risky "since the Pope Emeritus is still living and some could be tempted to burst the sound of 'Give us back Benedict XVI!' Nothing would be more dangerous than a kind of latent schism between two sensibilities, the one nostalgic of the Pope Emeritus, the other enthusiastic for the new Pope." Precisely. Instead of comparing, as it was always done under a new pontificate, a living pope and his deceased predecessor, which was done with no risk for the legitimacy of the former, one can today compare two popes who are very alive. Of course, the Pope is referring to English! 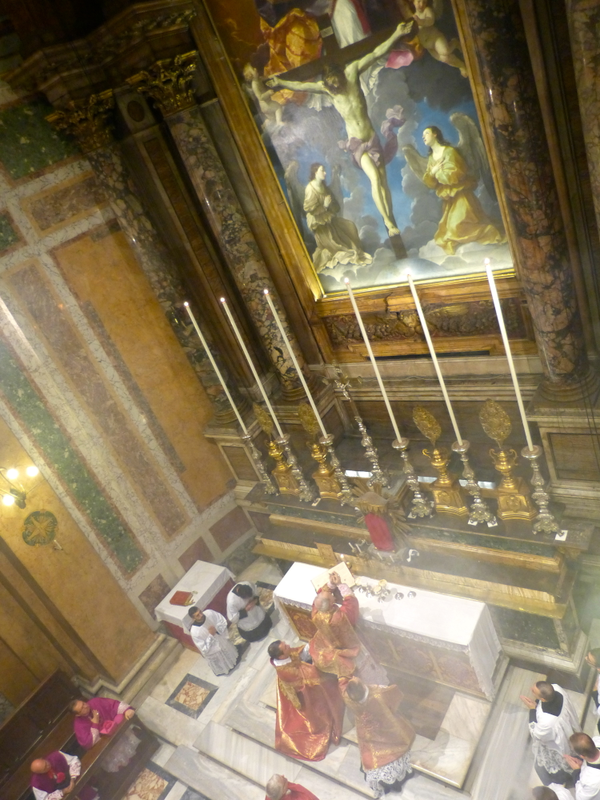 Dear friends, last evening you celebrated a solemn Mass of thanksgiving at the tomb of Saint Peter, beneath the great inscription which reads: Hinc una fides mundo refulget; hinc unitas sacerdotii exoritur. By enabling the vast numbers of the Catholic faithful throughout the world to pray in a common language, your Commission has helped to foster the Church’s unity in faith and sacramental communion. That unity and communion, which has its origin in the Blessed Trinity, is one which constantly reconciles and enhances the richness of diversity. Tears of Faith and Love: Happy 25th Anniversary, FSSP! By love obtaining life to men most hateful. As chiefest saint in kalendar of shame. I answer'd, one unworthy to be known. What one? say they. One worthiest of blame. But who? a wretch, not God's, nor yet his own. A man? Oh no! a beast; much worse. What creature? A rock. How call'd? the rock of scandal, Peter! With fear I crave, with hope I humbly call. 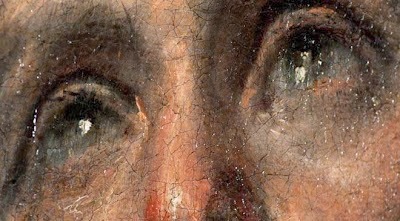 The Priestly Fraternity of Saint Peter proudly display as their symbol not emblems of glory, but tears of heartfelt shame, the tears of their heavenly Patron. As with Peter, the early tears of uncertainty became assurances of triumph - not for the earthly honor of their members, but for Our Lord Jesus Christ and the undying heritage of the Church of Rome, founded upon the blood of Simon son of John. Congratulations to the Fraternity on this their 25th Anniversary of foundation - and a wish of many more decades of fidelity to the Roman See and her doctrine and steadfastness, under the protection of God and of the redeemed tears of Saint Peter. 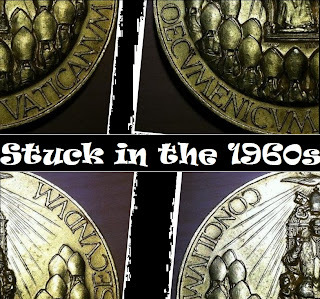 Reminder: Set your clock for the Silver Jubilee of the FSSP! Yes, tomorrow, October 18, 2013, Feast of St. Luke, is the 25th anniversary of the foundation of the Priestly Fraternity of Saint Peter (FSSP). The main celebration will be in Rome, in the personal parish under their care, Trinità dei Pellegrini - early in the morning for those in the Americas. 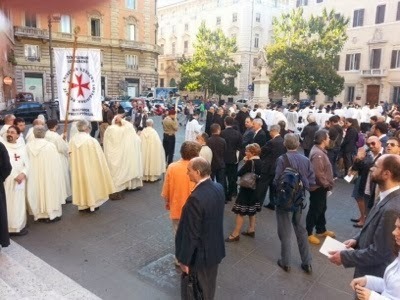 LiveMass will be broadcasting that Holy Mass LIVE from Rome, on LiveMass.net and the iMass apps. The Solemn Mass celebrated by Fr. Berg will be broadcast LIVE on October 18, 2013, at 11:30 AM Rome Time, which will be 5:30 AM Eastern US Time, and 7:30 PM Eastern Australian Time. 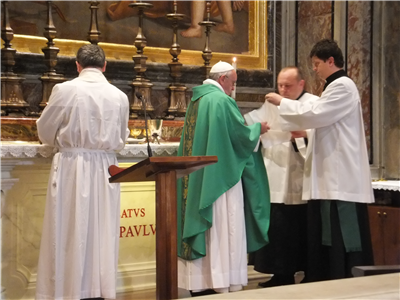 Later that day we will broadcast Vespers and Benediction from Rome at 4:30 PM Rome Time, 10:30 AM Eastern US Time, and 12:30 AM (Oct 19) Eastern Australian Time. Based on a week-old supposed incident in Rome (first reported by Spanish blogger Francisco José Fernández de la Cigoña five days ago), in which Card. Burke and Abp. Pozzo would have supposedly left a conference by Sandro Magister before it ended, indicating by their rumored action a possible discontent with Sandro Magister's words, the esteemed Fr. John Zuhlsdorf today jumped to wild conclusions. "Remember, friends. Those of you who uphold the traditional ways had better tread lightly, and with a smile. It is still possible to lose everything." With all due respect, this is just more of the typical fear-mongering. Sandro Magister is not a traditionalist - he is just not blind. But his opinions should not hurt traditionalists just because he affords them an impartial treatment, is familiar with traditional liturgy and sacred music, and is sympathetic to their stance. As for traditional Catholics, those of us who profess it without half-words, we are tired of being afraid. We are the only minority whose persecution within the Church is accepted and encouraged, and yet we "had better tread lightly" or else? We are all for being "wise as serpents and innocent as doves," but not for being cowed into submission. No, we must keep our heads up, protest as much as liberals do (¡hagan lío!, "make a mess"), but within the limits of licit behavior, and remember: this too shall pass. We are far from 1970, friends, far better in the spread of the Traditional Mass than at any time since Paul VI. If there is still a world a millennium from today, there will still be a Church, and the Traditional Mass will still be celebrated, a Mass that would be recognized by a visitor from the age of Saint Gregory the Great or the great Cluny reformers, this precious Latin gift passed on from generation to generation. And traditional Catholics will still be here, based on the just efforts of those who resisted, under God's blessings: we will not "lose everything", and this too shall pass. While most of the world missed it, the 25th anniversary (October 6th) of the canonical erection of the Fraternité Saint-Vincent-Ferrier (FSVF), and the jubilee of three of the priests of the FSVF, was recently celebrated. 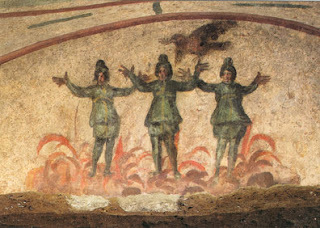 The three priests were Raymond-Marie Puybaraud, Dominique-Marie de Saint-Laumer (Prior) and Bernard-Marie Laisné. You may read more about it here. The celebration was held at the parish church of Our Lady of the Assumption in Chémere-le-Roi. More than 600 faithful were in attendance for the Mass celebrated according to the Dominican Rite, including Dom Louis-Marie, the Abbot of Le Barroux and Dom Dupont, the Abbot of Solesmes. There were also priests there from the other Ecclesia Dei Institutes. At the Mass, a message from Msgr. Di Noia was read by Msgr. Descourtieux, representing Ecclesia Dei before the sermon. After a friendly lunch in the cloister, Père Louis-Marie Blignières, the founder, recalled the circumstances of the foundation and the path towards recognition in 1988. Père Dominique-Marie de Saint-Laumer, the prior, then discussed the plans for a new conventional Church and, that one day, if God willed it, the Fraternity could begin a new foundation. The FSVF now has a redesigned website. We urge you to take a look and keep them in your prayers.